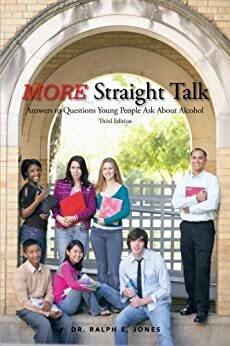 In More More Straight Talk: Answers to Questions Young People Ask About Alcohol, the author faces us with information on what continues to be one of the most pressing drug problems of our society, the consumption and abuse of alcoholic beverages. The question and answer format makes the topic easily understandable for young and old alike and the author approaches the topic from the understanding and empathic heart of a counselor. Without question, this book is a must read for anyone interested in the problems associated with alcohol abuse in our families and society. It is especially imperative for parents of young children to read this book to gain information which will enable them to answer honestly and factually their children's questions about the use and abuse of alcohol. This book is an invaluable resource to help educators, the clergy, those engaged in substance abuse prevention and treatment, and others engaged in health care and the helping professions. This is a great book that addresses a bit of everything that revolves around issues and problems that surround alcohol and can lead to alcoholism. What I loved about this book was how open and forthright the author was in his responses to direct questions. Not only do I believe that young adults will gain valuable insights from reading this, but parents and other adults will too. Also included which was valuable was the chapter on where readers can get more information and where they can turn for help. On top of this the chapter on how to say no was great as too many people simply don't know how to do this and it can lead to other problems down the road. This was a great book that succinctly provides all readers with valuable resources that they can use for years to come!